Top Five Kentucky Derby Upsets of All Time: The Kentucky Derby is usually formed by a 20 horse field, some of whom occasionally produce incredible upsets. Due to the heavy amount of traffic, the Derby is a race in which the best horse does not always win. As this year’s Kentucky Derby on May 2, 2015 approaches, let’s take some time to remember some of the biggest upsets in the race’s rich history. Mine That Bird started his career at Woodbine and had a four-win streak until he traveled to the United States to compete in the Breeders’ Cup Juvenile (GI) and finished last. He then settled in at Sunland Park to continue his career, hitting the board in the Sunland Derby. Over a sloppy track, Mine That Bird ran the race of his life under jockey Calvin Borel who used his ground-saving technique of taking advantage of the rail. Mine That Bird went unnoticed and won the Kentucky Derby by 6-¾ lengths, becoming one of the major upsets in Derby history in paying $103.20 to win. Canonero II was an unknown horse until he won the Kentucky Derby in 1971. The horse had a crooked leg and sold for only $1,600 in the Keeneland Sales. Canonero II ran in Venezuela during his early career and showed some quality but never looked like a Derby horse. One day, his owner made the decision to try the Derby, although other people thought trying the Derby was just an adventure. On May 1, 1971, Canonero came from the back of the pack, won the Derby handily, and surprised the entire world. As an anecdote, Canonero’s owner did not travel to the states to watch the race. When he received a call notifying him of Canonero’s feat, he didn’t believe it and thought it was a bad joke, so he hung up the phone. Immediately, thousands of calls began to arrive because it was all true! In 2005, Giacomo benefited from a fast pace and closed late to win the Kentucky Derby at huge odds. Giacomo did not win any of the Derby preps but upset everybody in the most important race, becoming one of the biggest longshots in Derby history. Gato del Sol, a son of Hall of Fame inductee Cougar II, was winless during his three-year-old campaign until the Kentucky Derby when he upset the favorite Air Forbes Won. Even though the horse was fourth in the Santa Anita Derby and second in the Bluegrass Stakes, bettors did not give him a shot to win. But on Derby Day, the “Sun Cat” won, paying 22/1 while being ridden by Eddie Delahoussaye and trained by Edwin Gregson. Charismatic was a D. Wayne Lukas trainee who broke his maiden as a two-year-old in a claiming race at Hollywood Park. He then tried allowance races and the Santa Catalina (GII) without success, so his trainer dropped him in class to a $62,500 claiming event that he won via disqualification. At that point, Charismatic did not look like a Derby horse, but he continued to improve, hitting the board in the El Camino Real Derby (GIII) at Bay Meadows and the Santa Anita Derby (GI) at Santa Anita Park. 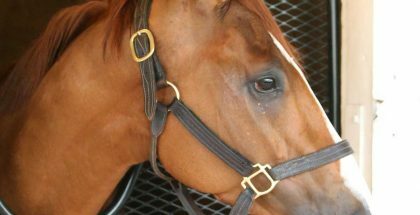 Finally, one month before the Derby, Charismatic won his first graded stakes race, the Coolmore Lexington Stakes (GII) at Keeneland. On May 1, 1999, Charismatic, a horse who three months prior won a claiming race, pulled off an upset, winning by a neck in the Kentucky Derby while paying $64.60 to win.